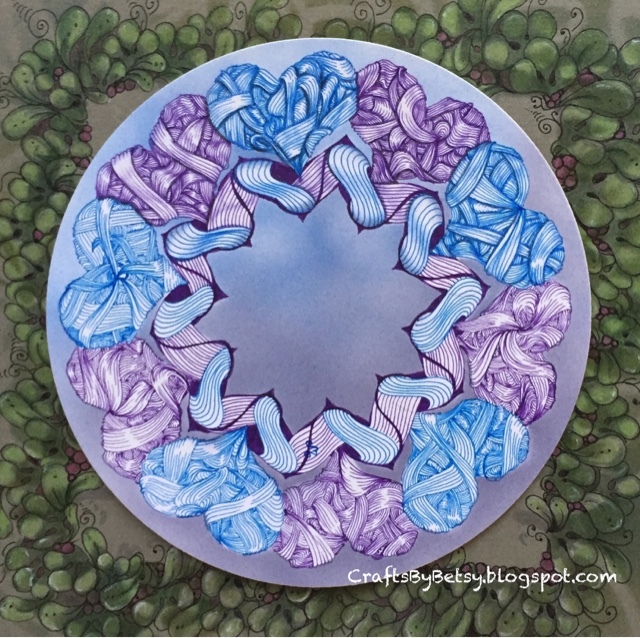 Several weeks ago, guest blogger Jessica Davies' Diva Challenge 324 Tangled Heart, was to use hearts for a string. Not long afterward, I came across a Kirigami book showing how to cut out a heart shaped doily. I totally had forgotten I had it! I ran across it while continuing on my KonMari project. If you haven't seen Jessica's gorgeous hearts, please check them out. 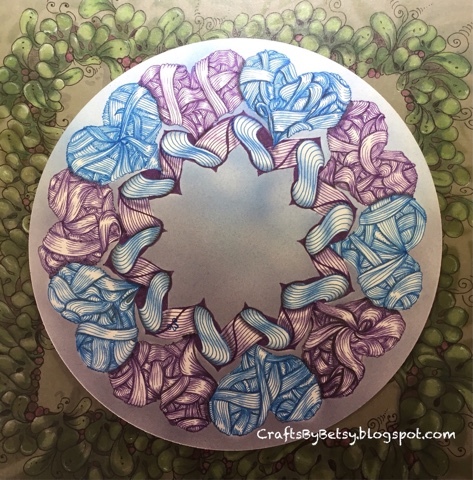 Before I got around to cutting out the doily, Jessica was already on to her second guest post, Diva Challenge 325 using Pea-Nuckle. I decided to combine the two challenges. 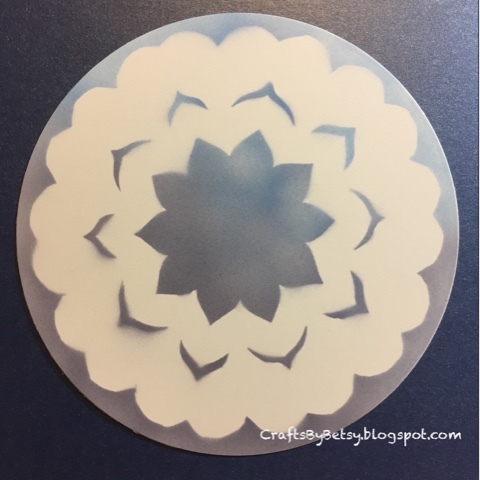 After cutting the doily from scrap paper and a nearly 6" diameter circle from Bristol card, I airbrushed over the doily to create this string. That's my take on Enyshou along with Pea-Nuckle using blue and purple microns. In the photo above, you'll notice only the top portion is shaded. I shaded using Cretacolor watercolor pencils. Finally finished! There's also a touch of Fabrico gray marker in this final photo. Fabulous ifea! Thanks for sharing your steps! I love this! From the doily stencil to the Enyshou'd hearts. It's outstanding;-) I must try this!